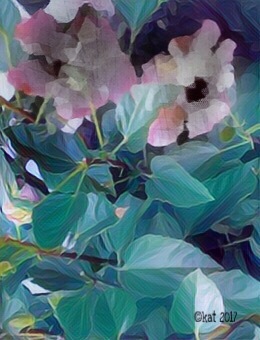 This entry was posted on Wednesday, April 19th, 2017 at 11:55 am	and tagged with beautiful, curse, digital art, Haiku, Ronovan Writes Haiku Challenge and posted in Digital Art & Photos, Haiku, Poetry. You can follow any responses to this entry through the RSS 2.0 feed. That is kind of sad that so many roses end up in a vase just to wither away. They are so pretty on the bush! Hello, both your haiku are beautiful. I love, ‘destined for a vase’. The image is lovely too.